Recently Sharp FS8015 was appeared via TNEAA, which comes with Dual camera setup, 18:9 ratio display and an Octa-core processor. 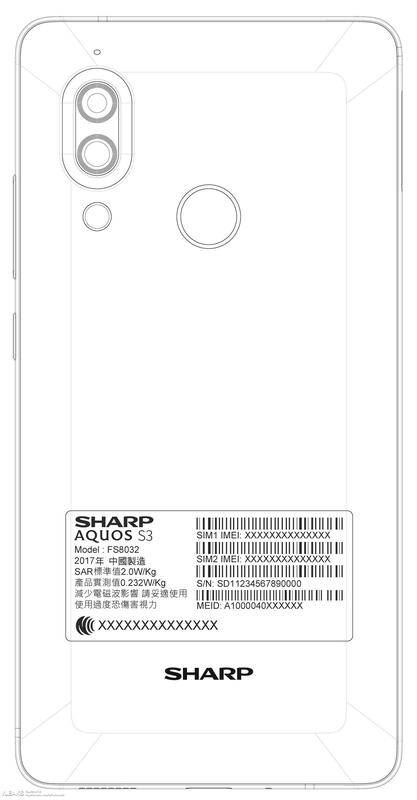 Now Sharp Aquos S3, Model FS8032 has appeared in NCC, it shows that model is nearing its release. Below image shows that the phone will come with Dual camera and fingerprint sensor at the back. Device has been already appeared in Benchmark listings, which shows that the phone will come with Qualcomm Snapdragon processor , 4GB RAM and runs on Android Oreo 8.0.